Greyhounds are in the fight of their lives in Florida. They are a gentle and sweet breed of dog and they are born to run. The retired racers from local tracks are cherished in so many homes across the US and Canada. With a 98% adoption rate due to all volunteer groups throughout the country, we have the best breed re-homing statistics of all dogs. We do not depend on community shelters to take care of our beloved greys – we take care of our own. In November you will find an amendment on the ballot to end greyhound racing abruptly in the state of Florida. We urge you to vote NO ON 13 as this will be the end of this magnificent breed. I have been in this breed specific adoption “business” (as a volunteer) for 18 years and know owners, trainers and handlers all across the USA. I have worked with them at the local compound where the dogs are housed while racing. They are well cared for, well fed and much loved while racing and then turned over to responsible adoption groups to find forever homes. There are approximately 8000 greyhounds currently racing at tracks in Florida – and another approximately 7000 on farms all over the country that are preparing for their life as a racing dog. Can you imagine the glut on the adoption groups if their careers are ended on day due to this proposed amendment? This month I am sharing (with permission) an article by a greyhound advocate who wants you to KNOW the breed before you vote on the issue. 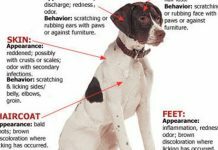 Many people have “heard” or “read” mis-information on the dogs as they live the life of a professional athlete. I hope you are willing to be open minded enough to read what people who have SEEN what goes on will tell you. Also please visit Greyhound Chronicles and Committee to Support Greyhounds on FaceBook where you will see videos from the farms and the kennels where the dogs are raised and then raced – as they are born to run! SO YOU THINK YOU KNOW GREYHOUNDS? Did you know that the Greyhound is the second fastest land mammal on earth, in terms of pure acceleration, trailing only the Cheetah? Greyhounds can accelerate from a standing start, up to 45 miles per hour, in as few as four strides. Did you know that the Greyhound chases the lure by sight, and not by scent? Greyhounds and other breeds who chase by sight, like the Saluki, the Scottish Deerhound and the Afghan Hound, to mention a few, are all broadly referred to as “sighthounds”, or “gazehounds”. The Greyhound has extremely keen eyesight, and a 270 degree field of vision. Did you know, that contrary to popular legend, recent genomic research and DNA testing has indicated that the Greyhound most likely did not originate in North Africa, and was not the favored pet of Egyptian Pharaohs, as has long been thought? Modern science has shown that Greyhounds are not at all closely related to the Saharan and sub-Saharan sighthound breeds. It is more likely that the Greyhound is of Celtic origin, as the noted Greyhound historian, John Henry Walsh (aka, “Stonehenge”) contended, in his landmark treatise on the breed, entitled “The Greyhound”, first published in 1853. 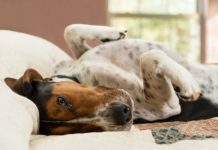 DNA research has also revealed that breeds like the Saint Bernard, the Irish Setter, the Belgian Turveren and even the Minature Schnauzer, all likely descend from single Greyhound female. Did you know that today, in the United States, it is estimated that currently, there are between 150,000 and 200,000 retired racing Greyhounds living out their lives as personal and family pets? The retired racing Greyhound has become a phenomenon in the pet world. 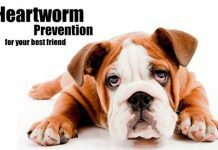 Renown for their gentle, loving nature and demure, reserved temperament, they are so highly prized as pets, that many adoption groups can’t quite keep up to the public’s demand for them. Adoption, in this day and age, has become the final phase in the career of the National Greyhound Association (NGA) racing Greyhound. Even sires and brood females, once their breeding careers are over, find homes as cherished, adopted pets. Did you know that the Greyhound is known as a “universal” canine blood donor, and that the blood of most greyhounds, can be used in transfusions to almost any other dog? Did you know that the Greyhound is fed a diet rich in raw beef, with added vegetables, whole grains, kibble, and vitamins? The raw, unprocessed beef used in feeding Greyhounds, is the same beef that dog food manufacturers use for their highly processed canned and kibbled products, and the same beef that many zoos feed to their priceless and rare carnivores. Did you know that Greyhounds, unlike other large breeds, because of their selective breeding process, which involves competing on the racetrack (to illuminate for breeders, which Greyhounds are the best at their job, and therefore chosen to produce the next generation), are kept virtually free of crippling, genetic defects like hip and elbow dysplasia? Did you know that NGA racing Greyhounds are the least inbred of all purebred dogs? The money greyhounds earn by racing, is what supports a genetically diverse and large population of greyhounds, which is a fundamental prerequisite to proper breed management and custodianship, keeping the breed on a functional and sound trajectory. Did you know that retired racing Greyhounds now find themselves in demand as service and therapy dogs? They work with prisoners, veterans, the sick, and even the autistic. The unique, remarkable and reliably non-boisterous Greyhound temperament is ideal for this sort of companionship. 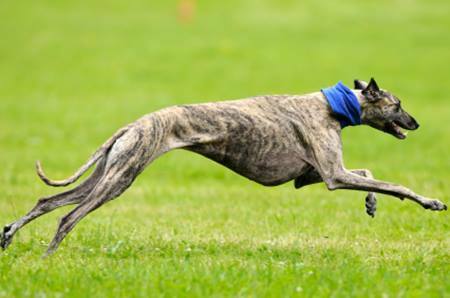 Did you know that there is a burgeoning community of people and their retired Greyhound pets, who participate in organized, amateur sports, like lure coursing, flyball, agility competition, track racing and straight racing? Greyhounds love to compete and perform, whether it is on the racetrack, at the agility course, or in the field. They are amazing, willing athletes. Did you know that your racetrack’s management supports adoption, and can direct you to an adoption group who can begin the process of re-homing a retired Greyhound with you and your family? Barbara Masi has been a resident of Boynton Beach for 35 years and an animal advocate all her life. 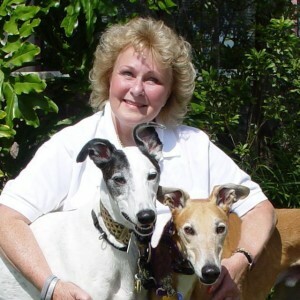 Although having many breeds of dogs in the past, she has devoted the last 15 years to the re-homing of retired racing greyhounds and is the founder of a group that trains them as service dogs and donates them to veterans. Barbara works with local school children in educating them about animal kindness and anti-bullying through PBSO’s Animal Kindness Unit. Through her employment, she has the opportunity to interact with a variety of local animal groups and businesses, allowing her to share their knowledge of all animals to us at AroundWellington.com.